Bulgaria is one of the EU countries where the organic sector is experiencing strong growth. According to Eurostat data, the European Statistical Agency, the areas under organic production increased by an average of 18.7% in the 28 EU countries, in Bulgaria this growth rate exceeded 310%. In Bulgaria, the area under organic agriculture has tripled in two years to reach 161,000 hectares in 2016. Over the same period, the number of organic farmers has almost doubled to 7,000 farmers. One of the factors behind this boom is the growing demand for organic fruit and vegetables in the European Union. The EU is the 2nd largest organic market in the world after the United States. 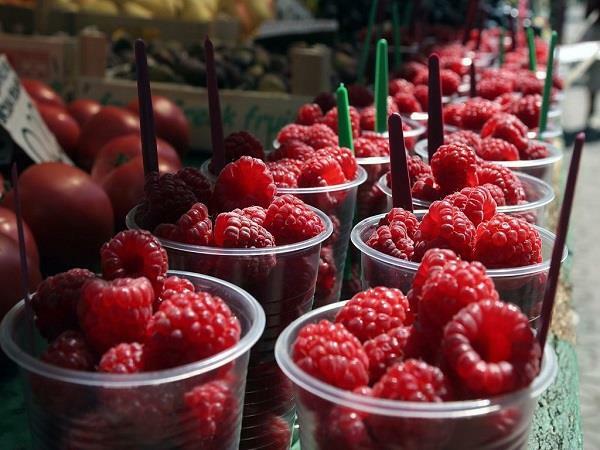 Bulgarian organic production is focused on these foreign markets including nuts, almonds, hazelnuts, plums, cherries and raspberries. Bulgarian organic production is mainly focused on the demand of the markets of other EU countries (photo: myguidebulgaria.com).